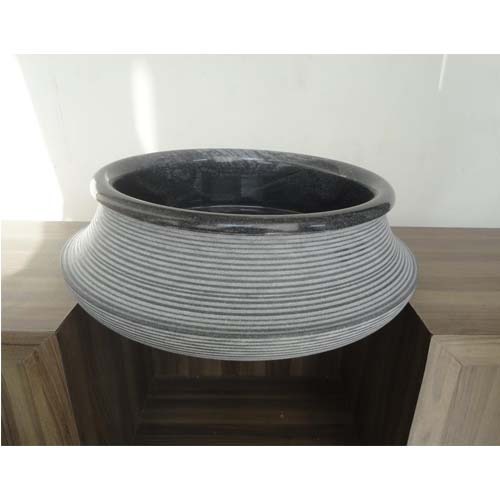 Creating a niche of Stone Bowls such as Bowls, Triangular Shape Bowl, Stone Bird Bath Bowl, Natural Stone Bowl, Decorative Stone Bowl, Smart Stone Bowl and many more items at its best, with utmost quality. Degchi Marble Basin in typical traditional degchi shape. Smooth polished from inside which is easily cleanable and have rough surface outside indicating traditional touch. Packaging Details: Well Packed by foam, thermocol & corrugated box. Our Bowl in this category is elegant, understated and versatile. Traditional or contemporary, it is perfect for every home or garden. Proudly designed and made by our highly qualified craftsmen, this bowl is classically designed and is highly adaptable. It would be well placed inside or outdoors; in your garden brimming with flowers. Measuring this bowl is available in your choice of classic and distinct patinas - choose a finish that perfectly complements your garden design. 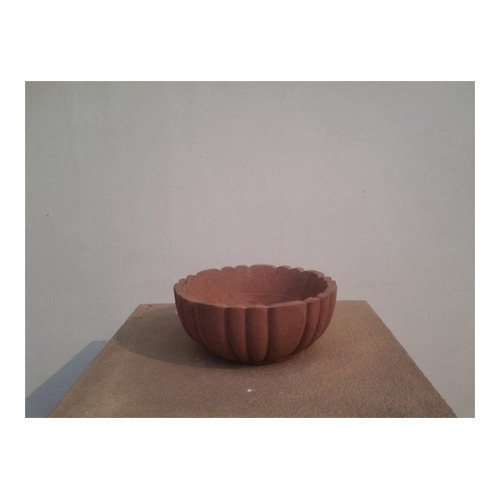 Simplicity meets beauty with this unique Sandstone bowl. 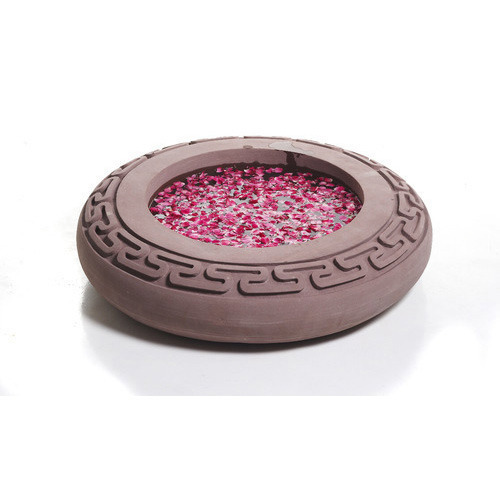 This Sand Stone Bowl is versatile and functional, and will add a distinct Asian flair to your outdoor decor. Each bowl has a small hole drilled into the bottom to allow for drainage. It will add the perfect finishing touch to your patio, courtyard, front entrance, or garden. We guarantee your delight and satisfaction 100%. 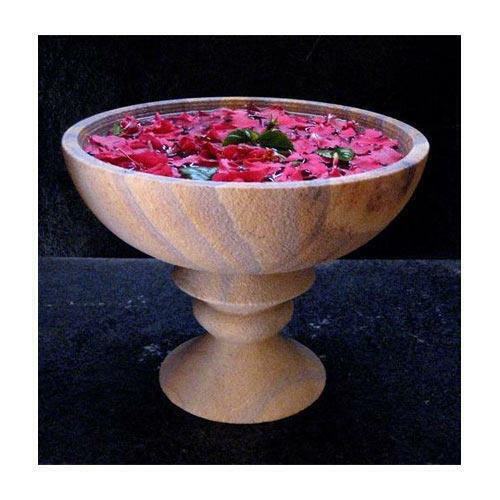 Add beauty and elegance to your garden or patio decor with this unique Natural Stone Bowl a part of our Bowl Collection. 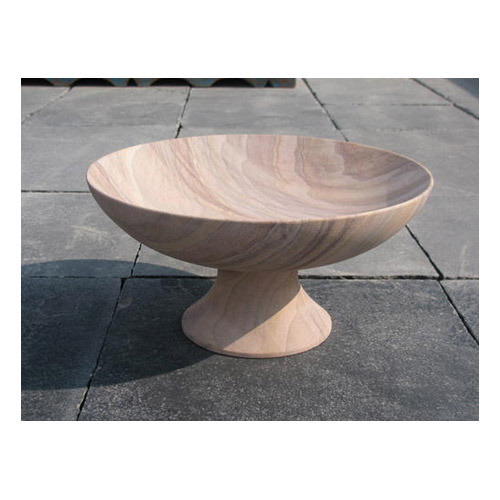 This low-profile sandstone bowl is a wonderful accent piece for any garden setting. So design your garden for your own personal enjoyment and choose accent pieces from our highest quality works of garden art to express your own unique style. Its dimensions. 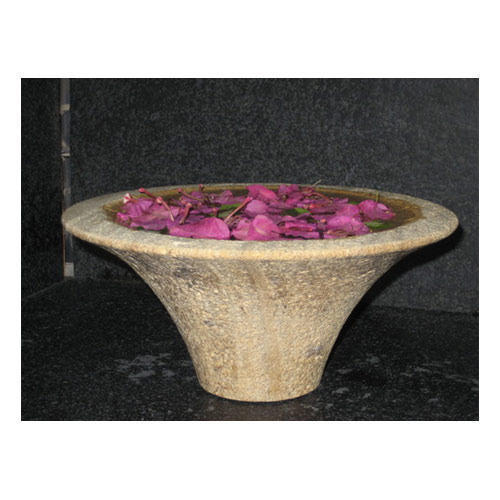 Decorative Stone Bowl is crafted from high quality natural stone and consists of neutral beige and tan tones, blending with any decor. Each unique stone bowl has been beautifully hand carved from a single piece of natural stone, and is richly polished. Fill it with your favorite herbs or your favorite garden bloom to make a wonderful focal point for your garden or patio. Our standard size which can customized as per our clients desire. 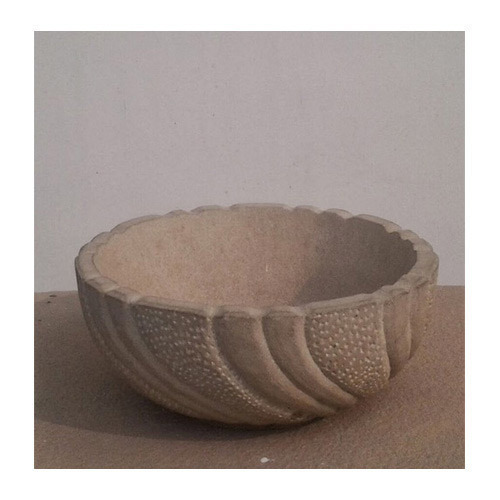 Smart Stone Bowl is elegant genuine sandstone bowls make an exquisite and memorable gift. Each decorative bowl displays its own unique characteristics blending natural shades of sandstone and has been beautifully handcrafted and richly polished. This bowl will add the perfect finishing touch to your patio, courtyard, front entrance, or garden. 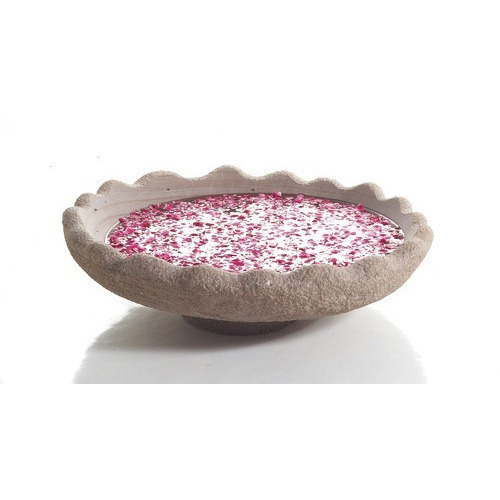 Unique and lovely, this Rainbow Stone Bowl is a part of our popular Stone Bowl Collection. It is a wonderful accent piece that will complement any garden setting. The low profile of the wide bowl adds a unique flavor, and the simple block pedestal adds just enough rise to ensure that your garden blooms won't go unnoticed. Our clients can avail this fabulous bowl in a regular size. Stone Bowls display their own natural colors and unique stone characteristics. 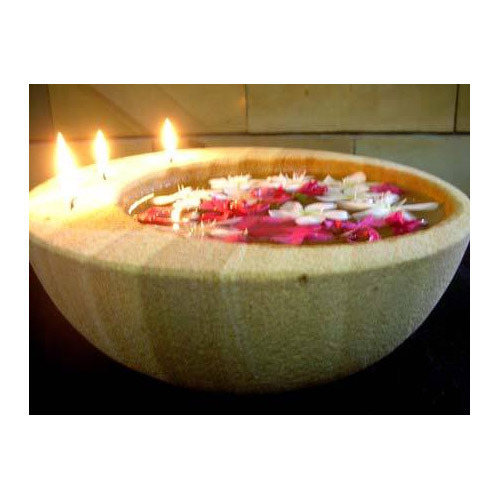 Each unique sandstone bowl has been beautifully hand carved from a single piece of sandstone stone and richly polished. This wonderful accent piece will complement any garden setting. This classic sandstone bowl comes in a standard size and is available in your choice of classic and distinct patinas, each applied by hand. Our Red Stone Bowl in this category is elegant, understated and versatile. 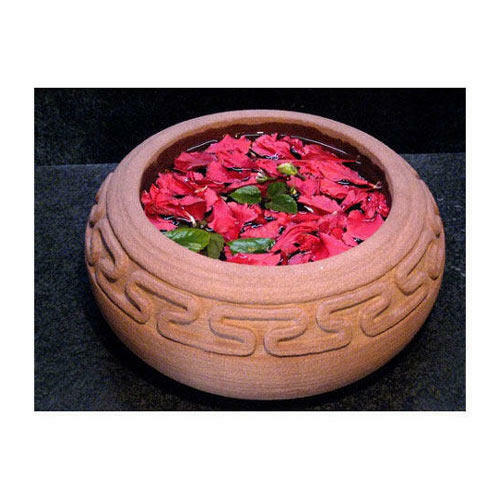 Traditional or contemporary, it is perfect for every home or garden. Proudly designed and made by our highly qualified craftsmen, this bowl is classically designed and is highly adaptable. It would be well placed inside or outdoors; in your garden brimming with flowers. Our White Stone Bowl in this category is elegant, understated and versatile. Traditional or contemporary, it is perfect for every home or garden. Proudly designed and made by our highly qualified craftsmen, this bowl is classically designed and is highly adaptable. It would be well placed inside or outdoors; in your garden brimming with flowers.